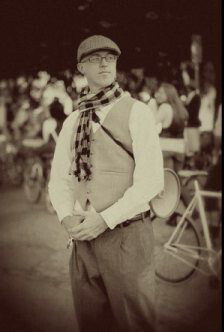 Don your best woolen knickers, press your finest fancy cap, and share the ride with your favorite Tweed Heart at the official Dallas Tweed Ride. Jason Roberts is back, and leading the ride from Klyde Warren Park. We’re cooking up a great afternoon, so be sure to join the event, share the event with your friends and check back regularly for updates. I did this ride several years ago and thoroughly enjoyed it. Although I was clad in Spandex bike pants and a bike jersey, the crowd allowed me to come along. Much fun!!! Sounds like fun and please count me in. I will find something to wear. Love rides like these. Please keep me posted. ← Ft Worth Avenue Bike Lanes Happening Now!